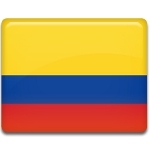 Cartagena Independence Day is a Colombian public holiday celebrated on November 11. Cartagena is the capital of the Bolívar Department, the proclamation of its independence from Spain in 1811 was an important step towards the independence of Colombia. Cartagena de Indias was founded in 1533 by Spanish commander Pedro de Heredia. He named the settlement after the Spanish city of Cartagena. Its rapid growth began after the establishment of the Viceroyalty of New Granada in 1717. The period between 1750 and 1808 is known as the Silver Age of the city. Cartagena became the richest city of the colony at that time. On November 11, 1811, Cartagena declared its independence from Spain amidst the Peninsular War, which became Latin American Wars of Independence. Although the city was almost destroyed in 1815 and Colombia did not gain full independence for another few years, the independence of Cartagena is considered an important milestone in the independence struggle. Although Cartagena proclaimed its independence on November 11, its Independence Day is typically celebrated on the following Monday. The celebration includes large and colorful street parades and other festivities. The national Miss Colombia Pageant is always held around November 11.